DOD photo by D. Myles Cullen. From Wikipedia. Although he retired 16 years ago now, Michael Jordan is still widely considered to be the greatest ever player to grace the NBA. Throughout his heyday, Jordan quite simply dominated the sport and is one of the most celebrated athletes of the 20th century. Jordan’s influence quite literally revolutionized basketball throughout the 1980’s and 1990’s, and he was one of the most effectively marketed athletes of his generation which has paved a way for a whole host of other sports stars to follow. From Jordan’s early days to his final moments on the court, we take a look back at his illustrious career. Born and raised in Brooklyn, New York, Jordan is the fourth of five children and his love for basketball began to grow as he started high school. Although he wasn’t deemed tall enough to play at a high level at first, Jordan trained vigorously and began to excel and was quickly earmarked by a crop of colleges who were keen to sign him. 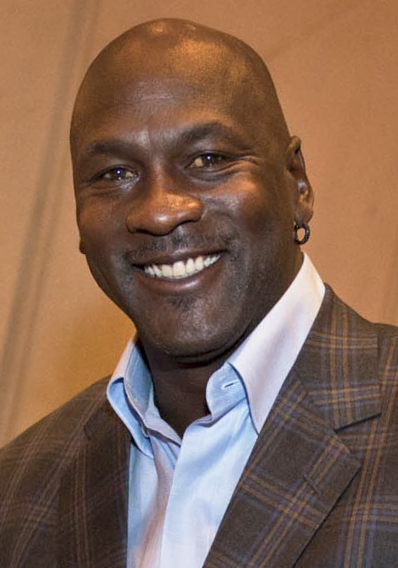 Jordan eventually opted for a scholarship at North Carolina, where he established himself as one of the best players and even cut short his graduation to make the 1984 NBA draft, whereby the Chicago Bulls picked him as their third overall pick. During his rookie season, Jordan enhanced his own growing reputation with a series of fine displays and quickly became a fans’ favourite. Renowned for his aerial prowess and brilliant defensive play, Jordan often led the scoring charts and picked up a number of accolades for his performances. For all of Jordan’s efforts, it wasn’t until 1991 that he won his first of six NBA Championships and he continued to excel as one of the finest athletes on the planet, let alone basketball. The Bulls unrivaled success throughout the 90’s only further highlighted just how instrumental Jordan was, and he set a number of personal and NBA records along the way. However, Jordan shocked the world in 1993 when he announced he was retiring from basketball to take up baseball. His stint didn’t last long, and he was back in the NBA in 1995 owing to the MLB strike. His next three seasons with the Bulls saw them claim their second three-peat (three consecutive title wins) of the decade. After retiring for the second time, Jordan came back again but this time as part owner of the Washington Wizards in 2000. A year later, he went on to play for the Wizards and although he struggled with injury during his two years, he still remained one of the league’s best players. In 2003, Jordan played his last ever NBA game in front of a crowd of 21,257 fans as the Wizards lost 107-87 to Philadelphia 76ers; with Jordan receiving a three-minute standing ovation. Since hanging up his sneakers, Jordan has taken up a series of ventures which has seen his celebrity status rise twofold. He played himself in the 1996 hit Space Jamand has a number of endorsements and sponsors.